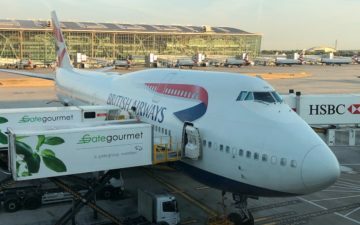 Back in late 2011 British Airways announced a massive change to the structure of their Executive Club program, and there’s no doubt that for members based in North America the changes were overwhelmingly negative. They switched from a zone based award chart to a distance based award chart. 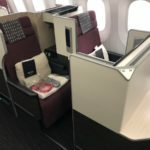 Previously you could book a roundtrip between the US and Asia for 100,000 miles in business class, or a roundtrip between the US and South America for 80,000 miles in business class. And in both cases you could have an unlimited number of stopovers. That means there are no “free” stopovers now, or I suppose if you’d like to look at it differently, there are unlimited free stopovers (since you can “custom build” each itinerary as you’d like, and be charged accordingly). There is one exception to this chart, however, whereby British Airways doesn’t charge on a per segment basis and gives you “free” segments. And that’s for flights within the UK that are part of larger awards. Let me explain in the form of an example, which is bookable on ba.com. If you book a flight from London to Boston using British Airways Avios in first class, it will cost you 60,000 Avios plus ~$611 in taxes, fees, and fuel surcharges. That makes sense, since that’s the cost of a 3,001-4,000 mile sector in first class. Meanwhile if you book a flight from Edinburgh to London to Boston on the same date, it will cost you 60,000 Avios plus ~$610 in taxes, fees, and fuel surcharges. Using the award chart, it should cost an extra 4,500 Avios for the segment from Edinburgh to London in economy, but British Airways doesn’t charge for segments within the UK as part of Avios award tickets leaving the UK. And you can even add the “free” segment before or after a stopover. So if you want to fly from Edinburgh to London, have a stopover for two weeks, and then fly from London to Boston, it would cost the same number of Avios. The only catch is that the taxes and fuel surcharges will be a bit higher, since the connection is over 24 hours. So anyway, this probably isn’t especially useful to most, though it explains why pricing might seem a bit lower than you’re expecting for awards with intra-UK connections. This doesn’t work in any other regions, so you can’t have a “free one-way” within the US, or for destinations in Europe outside of the UK. It was a change that was made in November 2011 to ensure that members of the BAEC located in the regions, and requiring to take a connecting flight, were paying the same costs (both cash and avios) as members located in London. It’s not just long-haul routes – it also works on short-haul routes i.e. GLA-LHR-RAK. If you were traveling from NYC-LHR and wanted to eventually get to ARN but also wanted to visit EDI you could go NYC-LHR-EDI as one ticket and then EDI-LHR-ARN as a second ticket. There would be no additional costs for the LHR-EDI and EDI-LHR legs. @ Euan — Thanks for clarifying. Updated the post to reflect that it doesn’t just apply to longhaul awards. Works not just for long hauls, but shortauls too. Took advantage from FRA. In the example you provided you have to pay $72 more in taxes in order to take advantage of this free one way. You’re better off constructing a second itinerary and coughing up the extra 4500 miles. I know everybody’s valuation of Avios will vary but paying $72 to save 4500 miles seems foolish to me, in every conceivable scenario. This is “free” in the loosest sense of the word, in my opinion. Upthread Mathew said he ‘took advantage from FRA’. So does this work outside the UK or was Mathew mistaken? @ Sam — I think he was saying something like FRA-LHR-EDI costs the same as just FRA-LHR. @David The additional $72 isn’t from adding the free intra-UK connecting flight, it’s from adding a >24hr stopover in London. This changes the amount of taxes levied by the UK government, which is out of BA’s control. That’s a distinction without a difference. Who levies the tax is irrelevant. The whole point of this post is to show that you can get a “free” stopover if your first or last segment is intra-UK. But the Avios savings comes at a steep cash cost. You’re better off booking a separate itinerary and saving money. The 4500 miles in “savings” is a red herring. Case 2: EDI-LHR-BOS for 60,000 Avios and $610 in taxes & fees. THIS is the free intra-UK flight Lucky is talking about. Notice there is no additional tax–in fact, oddly enough you save $1. 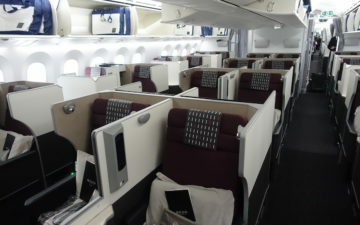 Case 3: EDI-LHR, stopover in LHR, LHR-BOS for 60,000 Avios and $682 in taxes. This is the case you are confusing with case 2, but the additional taxes are from the stopover, NOT the intra-UK flight. So, yes, the intra-UK flight is in fact free. If anything, it saves you a buck. The additional taxes that you incorrectly attribute to the free intra-UK flight are triggered by the >24hr stopover, which is completely unrelated to the free intra-UK flight. I forgot to add: the point of the post is NOT to show that you can get a free stopover, as you said. The point of the post, which is clearly stated in the title of the post, is that you can get a free intra-UK flight on an Avios award. Lucky starts the post by pointing out that the old program allowed unlimited stopovers. Then he points out that the current chart did away with those generous routing rules. BUT, he says, there is one exception: the intra-UK segment. 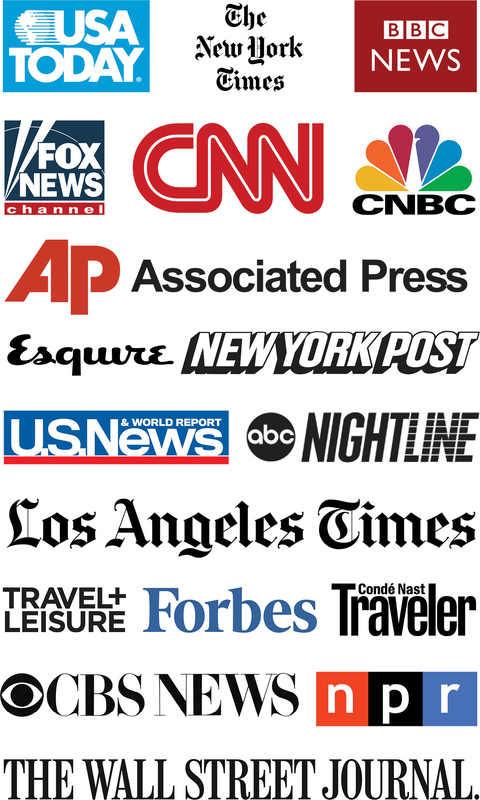 In travel lingo a free one way is exactly that, a segment that can be tacked on to the beginning or the end of your itinerary, effectively allowing you to enjoy two destinations for the price of one. I’m saying just book a separate one way cause it’s cheaper. Look. I get what you’re trying to say, that the first/last leg of the itinerary is free. But that’s not a free one way, it’s just a free segment. The title and post are clearly misleading if he simply wanted to clue us in on the uncharged segment. And my point is that if he’s actually trying to show us that a free stopover is possible, his example makes no fiscal sense. 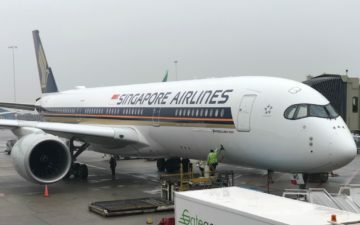 Yep it’s great, I just used this at the weekend – EDI-LHR (overnight) LHR-LUX (weekend) LUX-LHR (two days) LHR-EDI – total cost 9k Avios and £35 with nice lounges all the way and decent meal on the way back in the T5 Flounge. Superb value for money 🙂 I think you also get free domestic stopovers in Spain with Iberia. Speaking of British… Are you watching Ladies of London??? @ Alan – wow, that’s a great deal! Priced it out on BA site right now and it works just fine (9000 Avios + $55 for roundtrip in Y; J is 18000 but it’s only available on LHR-LUX). Having a free London stopover each way without any sort of a limitation on length is super-neat.